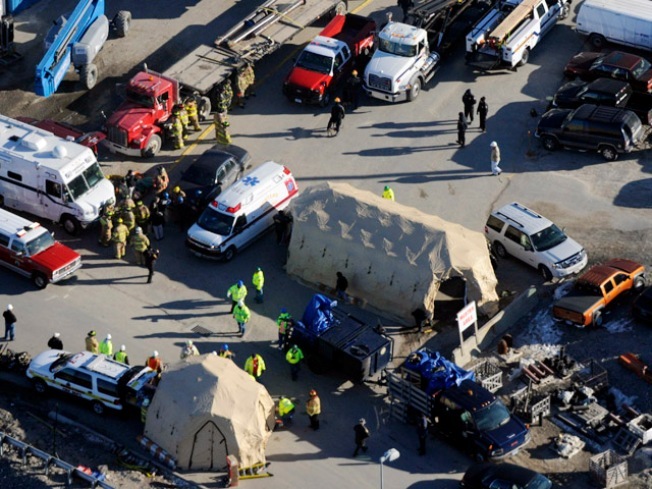 Emergency personnel work at the site of the Kleen Energy plant, seen in this aerial photo, after an explosion in Middletown, Conn., Sunday, Feb. 7, 2010. Hours after an explosion at a power plant in Middletown that killed five and injured many, it is still an active scene, Gov. M. Jodi Rell said in a statement released on Sunday afternoon. The state Department of Emergency Management and Homeland Security issued a no-fly zone over the site because the building is unstable and the number of fixed-wing aircraft and helicopters can potentially make it even more unstable, according to the governor's office. The explosion happened around 11:30 a.m. in one of the larger buildings at the Kleen Energy Plant on River Road, a 620 megawatt gas-fired power plant that was being built. O&G Industries was purging the gas lines at the time. "Dozens of state, local and other officials are working tirelessly. Their efforts are expected to continue through the rest of the day and night and into tomorrow,” she said. Dogs were searching for victims in the rubble, but there were no signs of life Sunday afternoon, officials said. One victim was identified as Raymond Dobratz, 57, from Old Sayrbook. "They are taking the building apart piece-by-piece now, the part that collapsed and came in, they are taking that apart in sections piece-by-piece, very carefully," Al Santostefano, the deputy fire marshal in Middletown, said. Rell thanked emergency workers who went to the scene. “As details are confirmed, Middletown officials, who have control of the scene, will brief the community and the media,” she said. 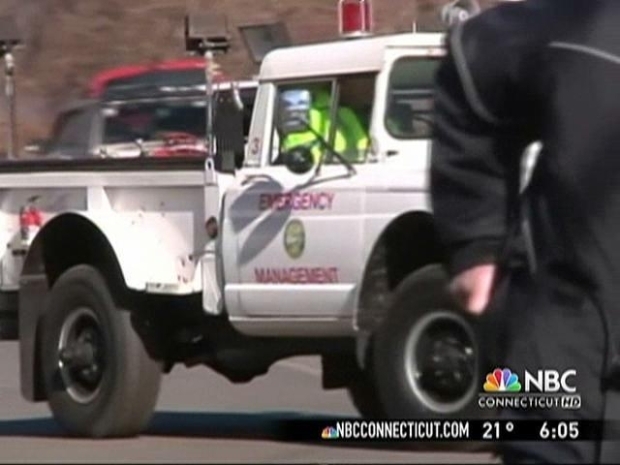 "I thank the many first responders who are braving the very cold and windy conditions. I ask the people of Connecticut to keep those working at the plant at the time of the explosion and their families in their prayers." Several Congressmembers have pledged their support after the tragedy. "I have been in touch with local authorities and I will continue to stay in touch with them over the coming days. I will work with local authorities to get them the resources they need from the federal government to properly respond to this tragedy," Sen. Chris Dodd said. "I was very saddened to hear of the explosion at the Kleen Energy power plant in Middletown this morning. I have spoken with Mayor Giuliano and Governor Rell and will do whatever I can to help during this difficult time," U.S. Rep. Rosa DeLauro said. "My thoughts and prayers are with the families affected by this tragedy, and I will continue to be in contact with local, state, and federal officials as we move forward." “My office stands ready to assist the families and the region in recovering from this catastrophic event. We will persevere with a steadfast heart and a focus on saving lives and providing support to those affected by today’s incident," Congressman John Larson said in a statement. Phone lines have been set up for families of victims. 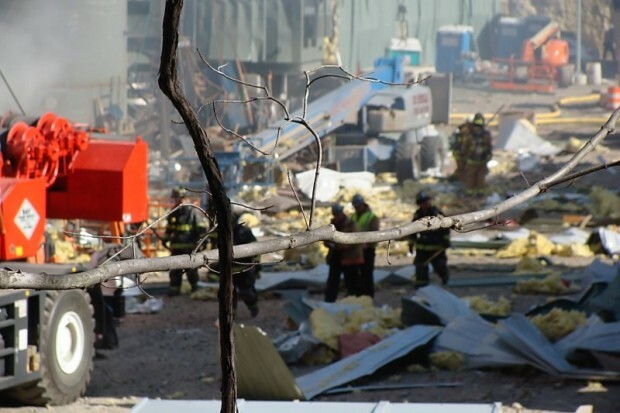 The Red Cross has opened a line for families of workers or families who were close by and impacted by the blast. For information, call 860-347-2577.